TOKYO CREATORS Season 4 "Safety and Security" | jibtv.com | Japan International Broadcasting Inc. 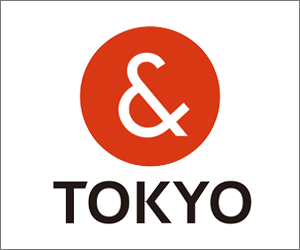 Season 4 "Safety and Security"
This show features the new faces of Tokyo, where many professionals gather creating the Tokyo culture with their passion and technology. Not only is Tokyo’s subway system one of the largest in the world—with a daily ridership of 9.35 million people—it is also one of the cleanest and most punctual. In this episode, we will be following a station staff member, Kazutaka Dobashi, as he goes about his daily duties. As an employee of Tokyo Metro, one of Tokyo’s biggest subway operators, Dobashi is responsible for keeping crowds under control during rush hour, responding quickly to emergencies, and taking inventory of lost items. The passengers who pass through the station he works at include locals as well as foreign tourists. Sometimes, they will come to Dobashi for assistance, and he takes his time to properly deal with every inquiry, either in Japanese or in English. In this way, Dobashi helps ensure that every day ends without incident, and that passengers continue to recognize Tokyo’s subway system as one of the safest and most convenient ways to get around the city. In this segment, we will explore the Oizumi-gakuen district in northwest Tokyo. It is a residential area that is also home to a dairy farm, vegetable fields, as well as vegetable stands—elements that give this area a pastoral vibe that is worlds apart from the bustle and hustle of central Tokyo. The people here are more relaxed, and some of them can be found on their days off growing vegetables in plot-share farms. Oizumi-gakuen is a place where the urban and the rural combine in interesting ways. At the start of every year, the Tokyo Fire Department organizes a major event known as Dezomeshiki. In the event held in January, the Tokyo Fire Department introduced audiences to its new Air Hyper Rescue Unit, while other units performed disaster response demonstrations. There was also hashigo-nori, a tradition that goes back over 350 years, in which firefighters perform acrobatics on top of ladders. Although the event is designed to entertain, it is also informative of the types of activities that Tokyo’s firefighters conduct everyday to keep the city safe.